Why should students consider doing a French Notes revision workshop? In schools around Ireland, most students are in classes of approximately 30 students. The teacher does his or her best to make sure that you are learning to the best of your ability. However, most class periods are for 40 minutes, of which about 7 minutes are lost through settling the class, and finishing up at the end of the class. Most students are given 4 classes a week, which gives a student exposure to 2 hours of French a week. For a student hoping to achieve a very high grade, this is simply not enough. Unless you are willing to supplement your exposure to French at home, you will not make the grade. As a language, it is very difficult to know that you are doing things right. 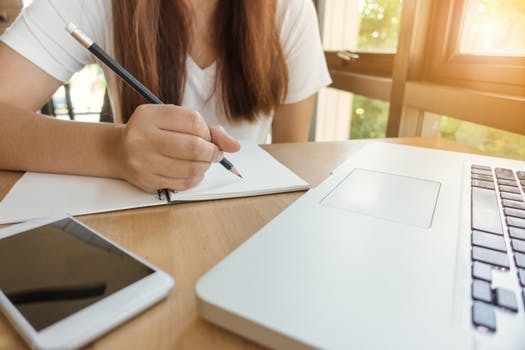 If you decided to sign up to a French Notes revision workshop, you would get an extra 4 hours of intensive tuition a month. On top of that, you would receive a 30 page booklet with exercises to complete at home. The booklets are designed by a team of French teachers and examiners, so we know that what you are learning is all geared toward the correct syllabus, as laid down by NCCA, (National Council for Curriculum and Assessment). Each workshop centres on a specific theme or topic, which makes the learning process easier for students. There are 4 parts to the workshop: Reading skills, Writing skills, Spoken proficiency and Listening Skills. All of our workshops are underpinned by grammar and grammatical constructions. However, grammar is taught in a way that engages students, and is not simply a dry boring grammar lesson. During the workshops, students work in pairs, on their own, and as a class. All students complete written assignments during the revision workshop. These vary between opinion pieces, diary entries or le récit (narrative personal writing). As most students are nervous about writing in French, we work on this skill and show students how to use what they know, rather than trying to know everything! 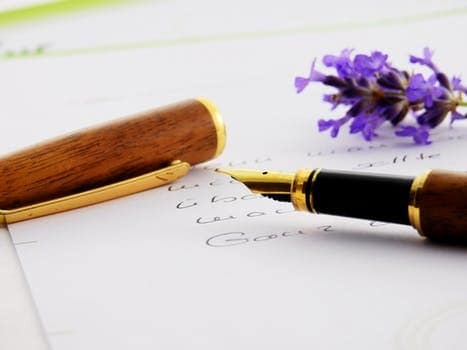 We show students how to develop their writing technique using well-defined structure, which will result in clear, concise, well thought-out written pieces. 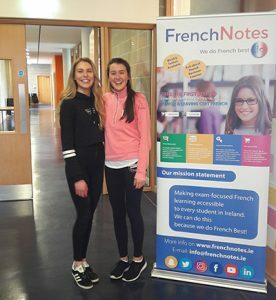 Every student in the workshop will have the opportunity to speak french, and practice sample questions and answers for the oral exam, which accounts for 25% of the French Leaving Cert. We have sourced advanced listening exercises, so that students will be prepared for the leaving cert aural which accounts for 20% of the exam. There are two reading comprehensions in the leaving cert, and 30% is alloted to these. This is a huge percentage, and on all of our workshops, we show students how to do very well in the reading section through sample reading comprehensions and reading practice. The key to the success of these workshops is that numbers are kept small. Following the success of our workshops last year, we are delighted to announce that they will be taking place in Mary Immaculate College, Limerick, on selected dates between September 2018, to June 2019. All of our courses are given by Elizabeth Hayes-Lyne who has vast experience as a French teacher, former examiner and published author. Elizabeth is completely bi-lingual, having lived in France for several years, before coming back to Ireland. To find out more please view the introductory video or download the information pack. When you’re ready to book find the date that suits below and click the “Book This Date” button. Our first revision workshop will take place on Saturday, the 1st of September, and will be on the theme of Social Media. For more information, please follow the link below. Students who attended our courses last year kindly gave us a review of the workshops, and this is a flavour of what they thought of them. For me the French notes revision courses saved my leaving cert French grade and really sparked an interest in learning the language. 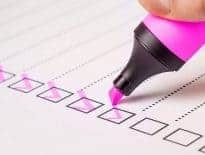 During each course Liz would explain and break down the most difficult aspects of the language to ensure we could understand and improve our aural, oral and writing skills for our exams. The environment of the courses was always friendly and Liz ensured we never felt under too much pressure. I cannot recommend these courses and Liz’s teaching enough! Without her I would have never achieved the grade I did! 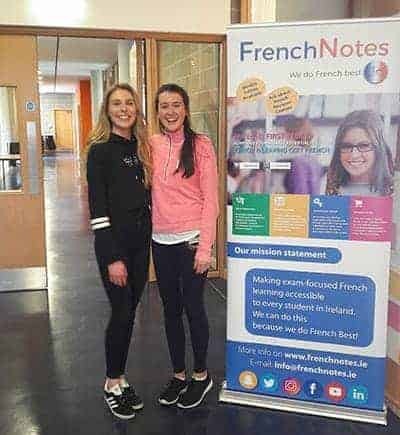 My name is Sophie and I attended Frenchnotes.ie courses that are held in Mary I. I attended all 12 of the courses in 2017/2018 including the oral workshop and I think this shows how much I enjoyed and how beneficial I found this courses. I believe they were the only reason I achieved my H1 in French. The course content at the start was difficult but as they went on I found them easier and easier. This wasn’t because Liz was making them easier it was because my French was developing and improving. I loved the way that every course focused on a particular topic because once I left that room I knew that I had that part of the course covered. The small classroom sizes made sure everyone got Liz’s undivided attention throughout the four hours. I found Liz very helpful and understanding throughout all the courses. The booklets you receive at every course were very helpful as they included vocab, listening exercises, and grammar points all relating to the topic. Liz’s attention to detail with the booklets ensures every student reaches their highest potential and I would highly recommend these courses to anyone no matter the level of French you have. Thank you so much Liz for all your hard work.